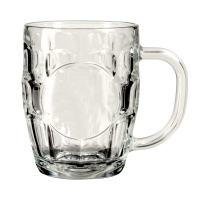 At 20 ounces, the Brittania Old English stein holds a pint of beer or other beverage nicely. This style, often seen in Europe has gained popularity with the import beer fan. Decoration on inboard side only. 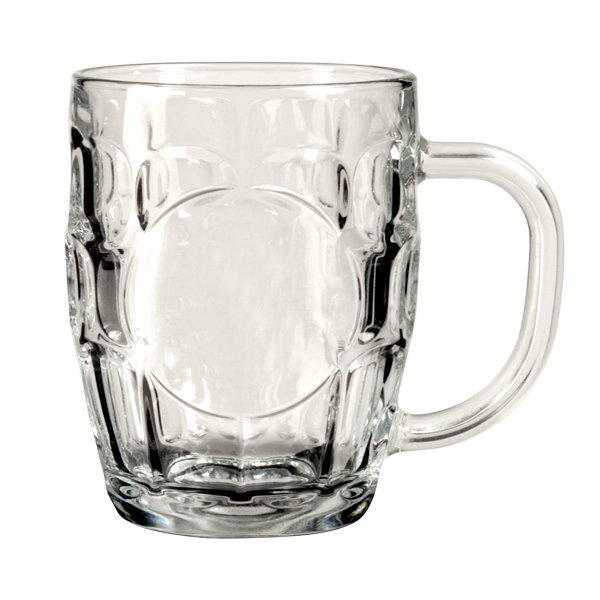 The Brittania Tankard is one of those true shaped beer mugs that can be printed in a centrally situated decorating patch. This Beer Tankard boasts a robust 20 ounce serving and can be used on a wide variety of beer but stands out with a great serving of stout. The Brittania Tankard can be printed with our E2 printing formula, or can be printed with Lehr fired enamels. To elevate the perceived value, consider using the deep etch sand carving on the Brittania Tankard. Deep etch sand carving leaves a cut in image with a tactile feel. The Brittania Tankard can be gift boxed as a single mug, or in sets or two or even sets of four. We print these mugs in our plant located in Western Canada and can ship anywhere in North America.